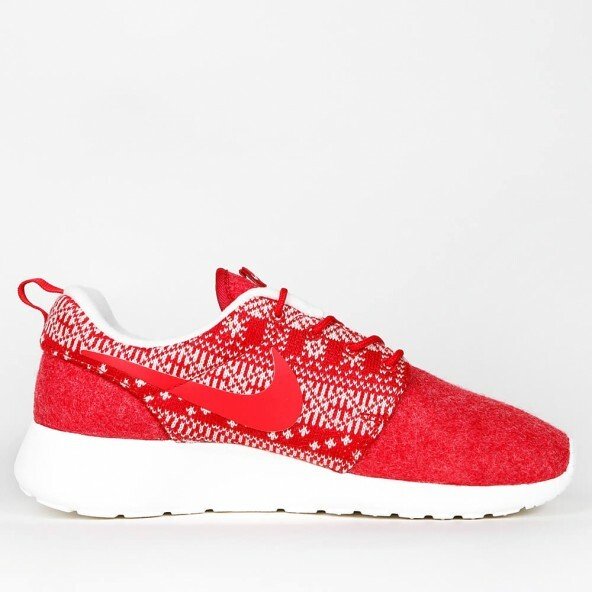 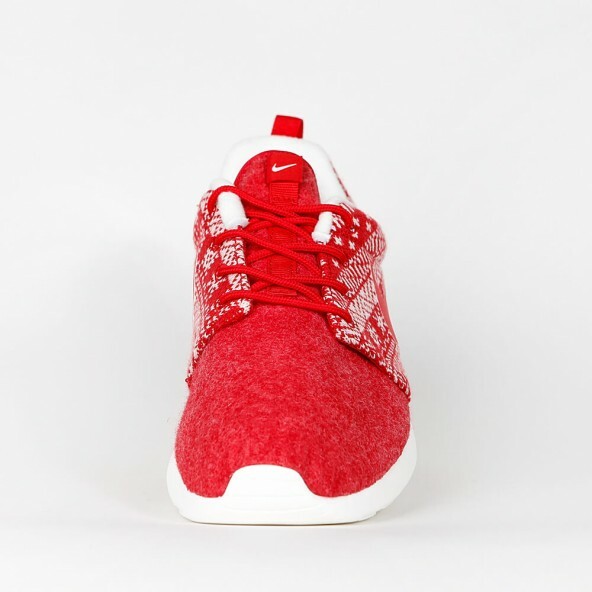 Apposite to winter Nike released its Roshe One Winter collection and readies the look of the classic Roshe One for the coldest time of the year. 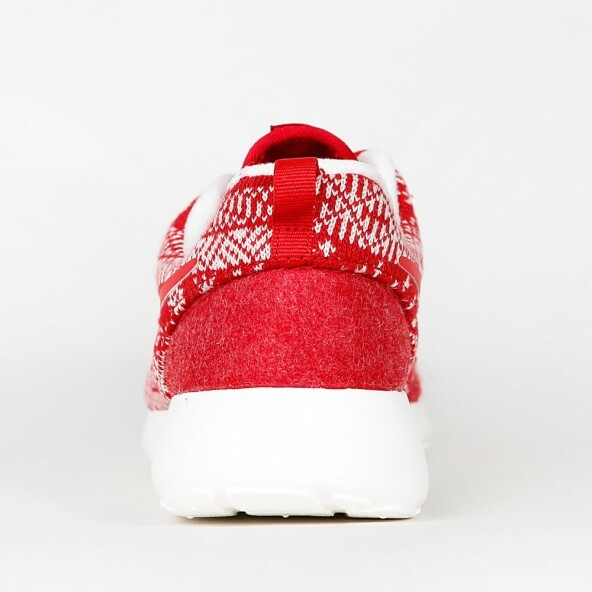 The felted, light upper of the women's sneaker has got a pretty knit overlay with a Norwegian pattern. 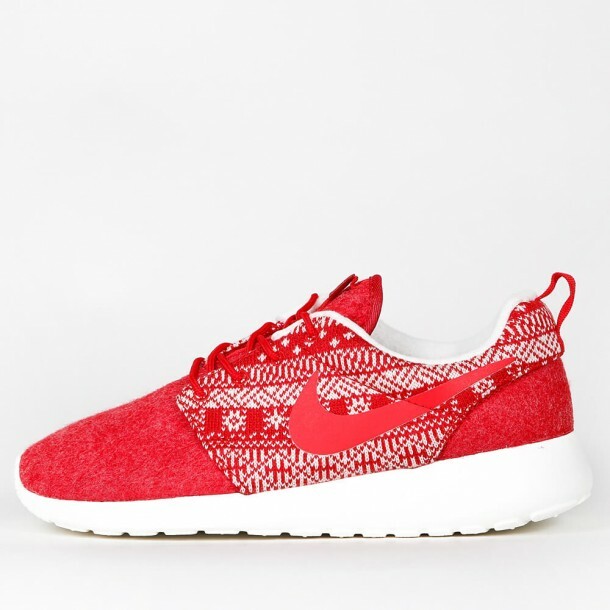 On the inside the low-tech sneaker's lined with soft and breathable textile. The cushioning Solarsoft insoles and the foamed Phylon sole provide a great wearing comfort.